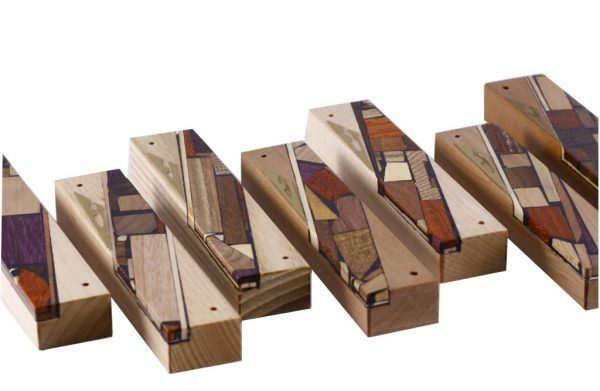 This Reversi Mezuzah is small, compact, and beautiful, and made from one piece of wood, so suitable for outdoor application. The reversi wood mezuzah for the Jewish home is decorated with a diagonally placed mosaic strip made from assorted multi wood mosaics. 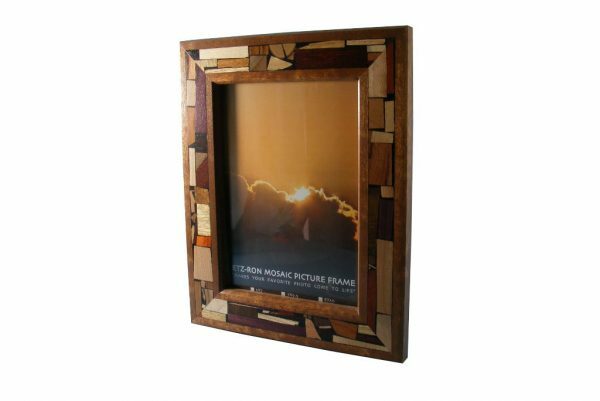 Etz-Ron’s signature multi wood mosaics are made from over 30 kinds of real wood. 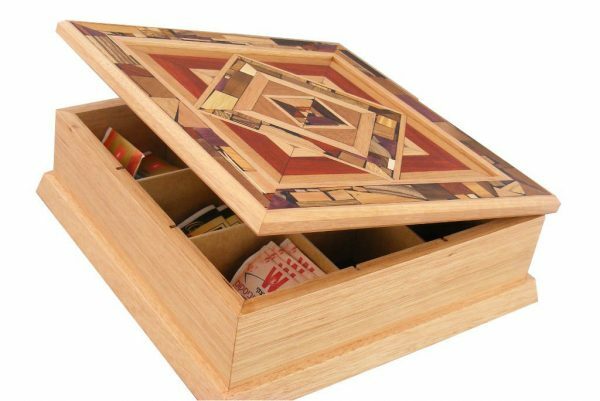 No stains or dyes are used. You are seeing the natural colors of the different woods. 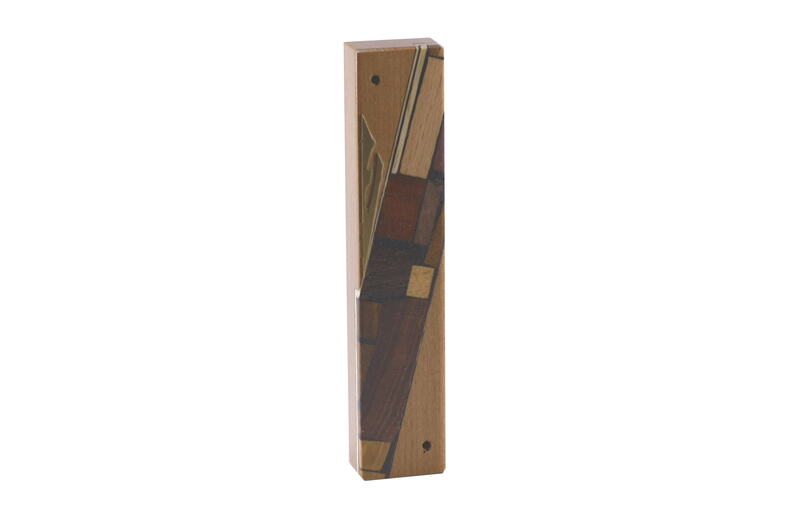 The mezuzah is fitted with a stylized “shin” made of brass. 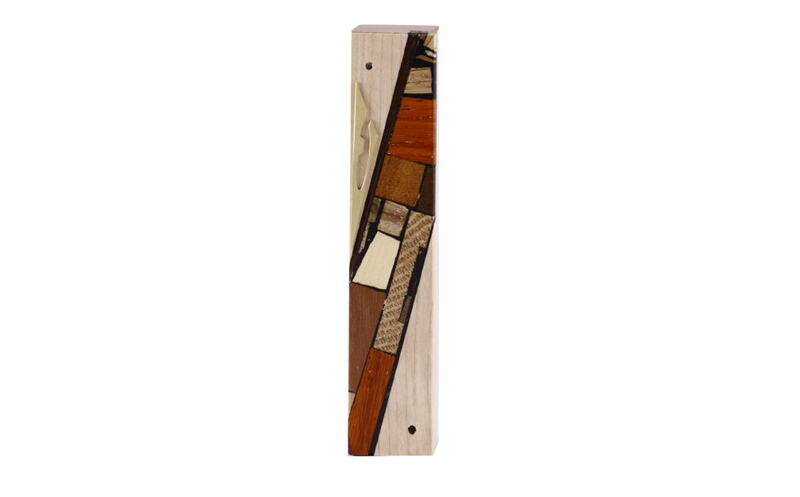 This modern wooden mezuzah is Etz-Ron’s most popular mezuzah and makes a great bar/bat mitzvah present, or a meaningful housewarming gift.